Dream Pod 9 successfully crowdfunded a new line of plastic kits for their long-running Heavy Gear Blitz! miniatures game a few years back. Now, they’d like to expand their plastics range with new miniatures for Peace River, NuCoal, and Utopia. Their goal is to fund the production of plastic kits for some of the core units for these three factions, with more being added via stretch goals. The pledges are arranged into army boxes for your faction of choice, and contain enough models to jump into the game right away. The basic army boxes will cost you $CA 70/$55 and generally contain 12 Gears, the titular mechs of the game’s setting. If you’re curious to know more about Heavy Gear Blitz!, the rules are available for free online. This campaign is designed to fund a new print run of the Second Edition of Victory Point’s popular Nemo’s War solitaire board game. 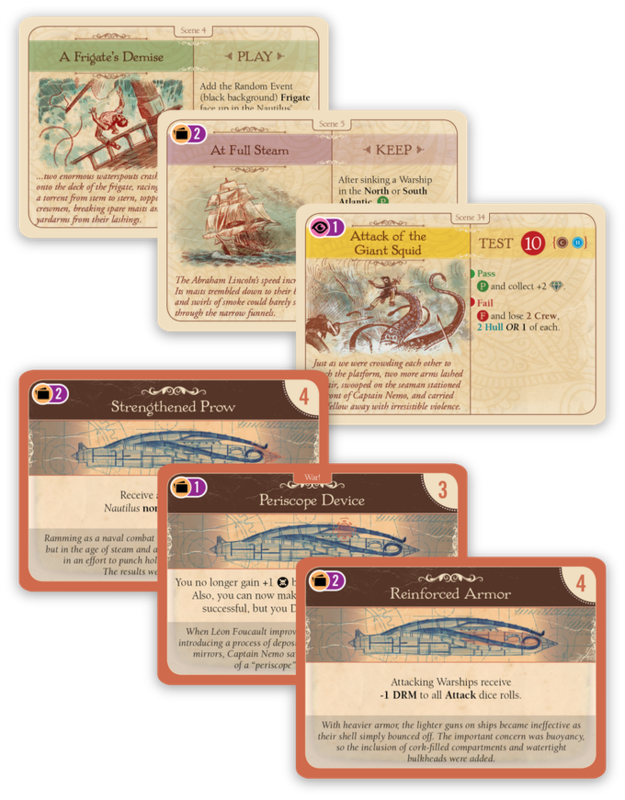 Inspired by the Jules Verne classic, Nemo’s War places you in control of the Nautilus and her crew. Customize your experience by choosing one of four Motives that alter your objective and three difficulty settings. Explore the ocean depths, uncover ancient treasures, upgrade the Nautilus, and combat enemy vessels and savage sea creatures. Be careful to maintain your crew’s physical and mental health, and avoid becoming too infamous or you risk making enemies out of the most powerful navies in the world. Existing owners can grab a mini expansion that adds 12 new upgrade cards for $5, while new players can get the full game and expansion for $59. 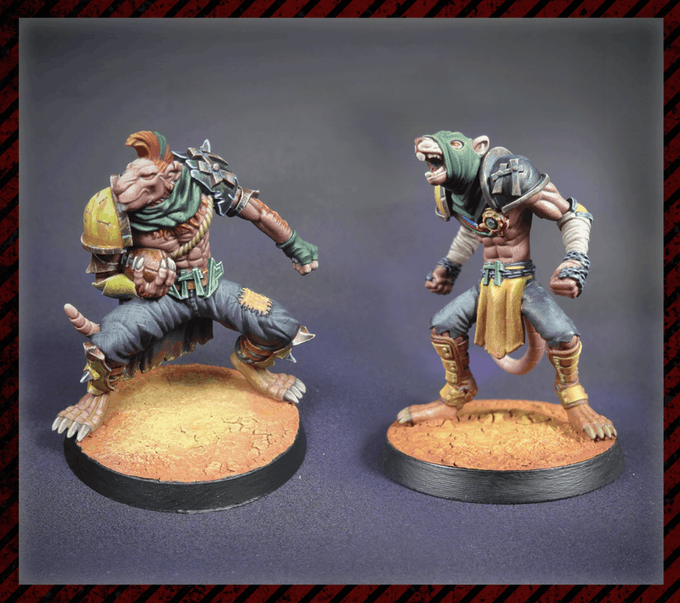 Fantasy Football teams are a near-weekly sight on Kickstarter these days now that Blood Bowl is actively supported again, and this Ratmen team is one of the latest seeking your crowdfunding dollars. The team consists of 16 resin miniatures with no duplicate sculpts, including a rat ogre, two blitzers, two throwers, four runners, and seven linemen. You can buy the whole team for €65/$77. 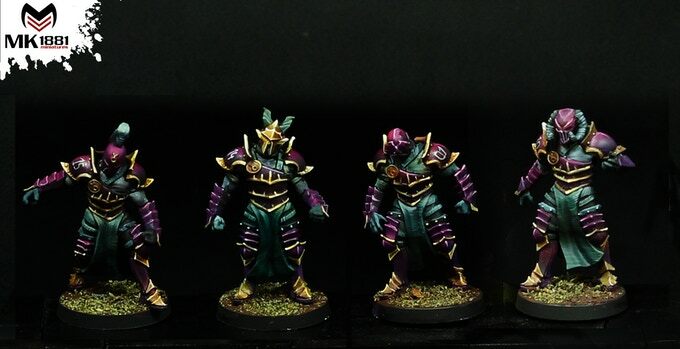 Finally we come to a pair of Chaos teams that you might want to add to your collection. Each team is made from your choice of metal or resin, and consist of 16 miniatures with no duplicate sculpts. The first team are the Ares Blood Demons, and includes nine Pit Fighters, four Blood Demons, two Heralds, and one Bloodthirsty Beast. The other team is made up of eleven Beastmen, four Chosen Warriors, and one Minotaur. A resin team will cost you €50/$59, while a metal team is €70/$83.